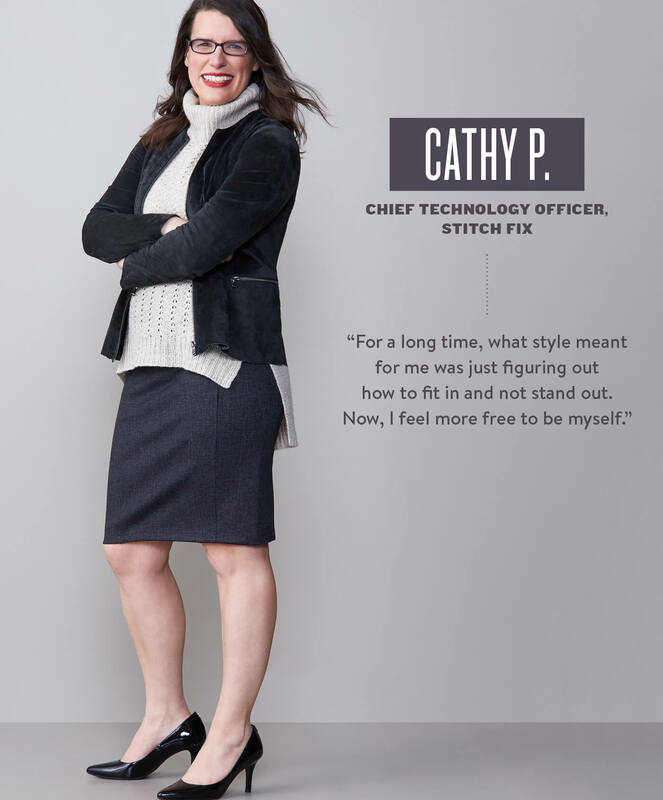 Cathy Polinsky doesn’t think she breaks the rules. In fact, she claims she doesn’t even know what the rules are. But considering she’s established herself as a tour de force in the thick of male-dominated Silicon Valley—we beg to differ. We chose you as a woman who redefines the rules. We disagree! Tell us about your background and how you’ve made your own rules—in fashion and in life! For a long time, what style meant for me was just figuring out how to fit in and not stand out. Now, I feel more free to be myself. How did you do that working in tech? What would encourage more women and girls to come into tech? I was trying to act like one of the guys instead of being who I was and being comfortable in my own skin was a challenge. What drew you to Stitch Fix? Do you have a personal hero or someone you look up to and why? “Definitely my husband, Russell. He and I have a strong, equal relationship—including how we parent our kids. He’s also in the tech industry, and although he’s founding a company right now, he’s been really focused on our kids and family as I’m starting this new job.